Cable Grease  - $5.50 : Welcome to Zippkits! 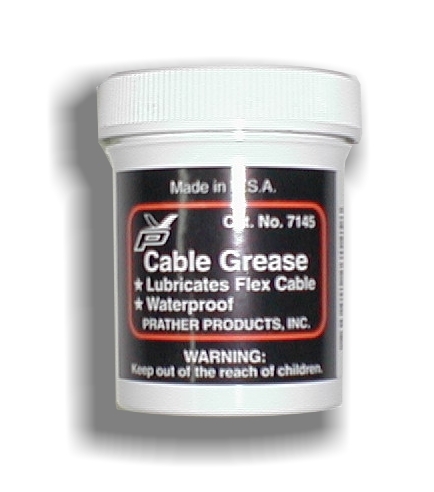 This cable grease has probably been used more than any other cable grease in the world. It is all we use in our boats. For inboard and outboard shafts. Gas, Nitro or Fast Electric. 3 ounces in a jar, enough for a full season of racing.